Morocco is such a melting pot of cultures and identities. The Berbers (or Amazigh; plural: Imazighen, meaning “free men”) were Morocco’s indigenous peoples, settled in the north-western corner of Africa across modern-day Morocco, Mauritania, Algeria and beyond, long before the arrival of Arabs from the East in the 7th century. The beach resort city of Agadir – known for its golden sands and luxurious beachfront resorts – is also the capital of the Souss-Massa-Draa region. As such it is a bustling hub for traders and farmers of the region as well as tourists. Traveling inland from Agadir, the road towards Taroudant and the Anti Atlas mountains traverses the fertile flood plains of the Souss and Massa rivers. This area is one of Morocco’s prime agricultural regions. Protected by the Anti Atlas Mountains from the harsh climate of the Sahara, and fed each spring by melt water, these plains are one of Morocco’s main breadbaskets. This is not to say that life is not harsh for the sedentary agriculturalists of the Souss and the Anti Atlas. For centuries, these regions have been the source of large migratory flows to Moroccan and European cities as young men sought to better their circumstances. 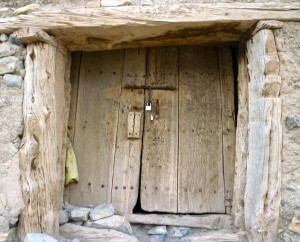 Given the precarity of life, the irregularity of the rains, and the risk of attack, the local Chleuh Berbers developed a means to store their wealth – most often in the form of cereals but also important legal documents and gold or silver brought up through the Sahara and perhaps offered as a dowry. Communal granaries – often fortified – were constructed in pisé (rammed mud) in hilltop villages to store such items. 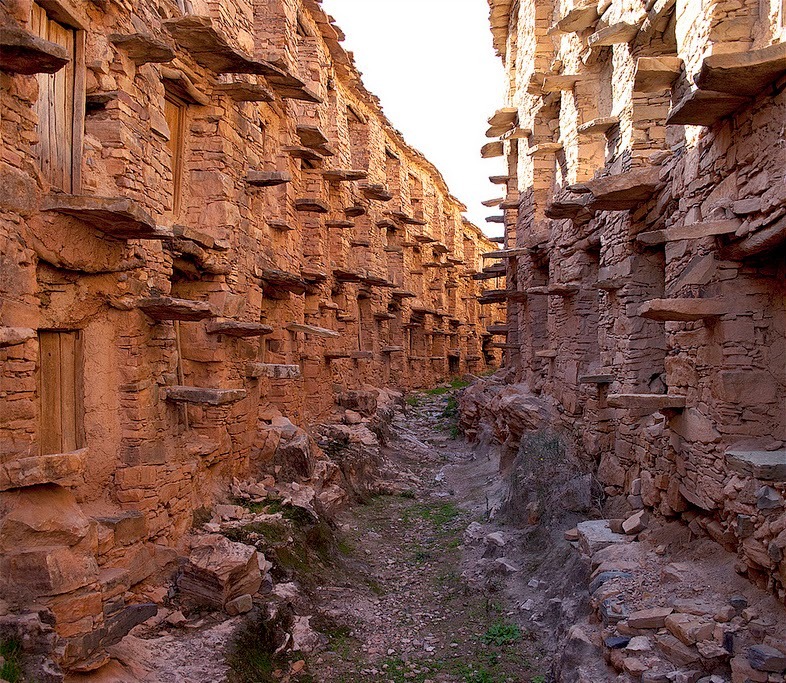 Made from the local earth, an agadir (as they are known in the local Berber Dialect, Tashelhiyt – the plural is igoudar) is an organic structure and often visually almost indivisible from the local environment. 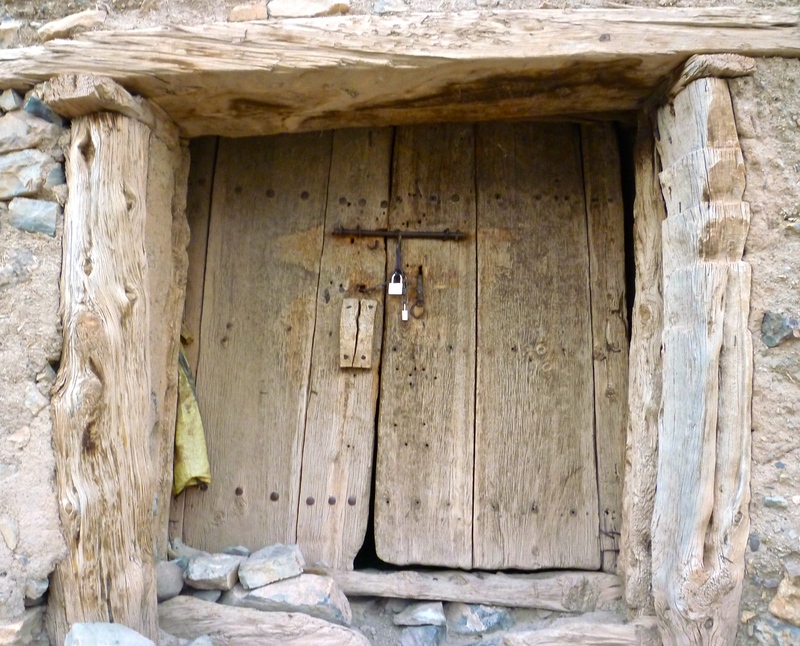 Inside, each tribe or family would have their own compartment, locked with an elaborate wooden or metal key. Compartments were stacked on top of each other, some requiring a wooden ladder to gain access. Villages were often inhabited by just a handful of families, so there was a collective motivation for the protection of the agadir and a guardian would be appointed. Barley could be stored for up to 25 years. Almonds could last up to 20, and argan nuts – oil-yielding nuts indigenous to the area – for up to 30 years. Honey, ghee and oil stored in terracotta or glass jars would also last several years. The agadir was also a means of defence. Tribesmen would store their arms inside and women, children and even livestock could seek protection in the agadir’s central courtyard in times of siege. In peaceful times, strategically placed igoudar could profit from passing camel trains as places of shelter and trade. Some agadir featured communal services such as a small mosque, a council chamber or a blacksmith and so are seen as an early form of urbanisation of the Berbers. In this way, over time the agadir mutated into the ksar (castle, the Berber word for which is agherm). The routes between the main Anti-Atlas cities of Taroudant, Tafraoute, Tata and Tiznit make great road trips – each is different and fascinating in its own way. This area, however, is also prime agadir-spotting territory. A few have been restored, some are even signposted. But for the most part, these structures are hidden, neglected and sometimes even in ruins. A local guide can locate them and find the key-holder. 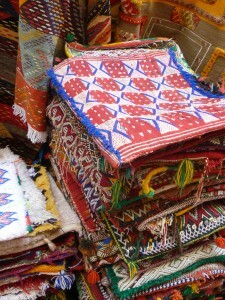 Villagers are often pleased that outsiders express an interest in their indigenous culture. The area around Igherm (a key crossroads between Tata or Tafraoute and Tardoudant) is particularly rich in this aspect of Berber built heritage, but the igoudar are often hard to find and may require a 4-wheel drive vehicle for access. Depending on your itinerary, your Travel Exploration driver and guide could take you to the agadir of Anammet (near Igherm), Dou Tgadir (off the P1723 road) or Taguent (along the same road). On the Igherm-Tafraoute road (the R106), you can find igoudar at Issouka and Amane n Tazart. Kasbah Tizourgane (on the Ait Baha alternative route between Taroudant and Tafraoute) is easily accessible. Situated on a hill in a low plain, this fortified village is being sensitively restored by descendents of the original three families who lived here. Using heritage funding and income from the on-site guest house, the communal areas such as the mosque and agadir are slowly being restored to give visitors a real insight into kasbah life. Many of the communal granaries have spiritual or religious connections. In the Ait Bouguemez Valley – further north in the High Atlas Mountains – the granary on a pyramid-shaped hill overlooking the valley marks the site of a former Jewish pilgrimage to the saint, Sidi Moussa. In the typical way that pre-Islamic beliefs permeate modern religious practices, the granary is said to offer fertility benefits to female visitors. The agadir is easy to reach and the guardian is happy to show visitors around the small museum to local mountain life inside. If your itinerary in Morocco does not allow for an exploration of the igoudar in situ, the museums in Agadir (Museum Municipal du Patrimoine Amazigh) and Marrakech (the Berber Museum in the Majorelle Gardens) offer a great opportunity for an insight into Berber life. The museum in Agadir in particular has excellent exhibits of agadir keys plus jewelry and family documents found in igoudar, such as 18th and 19th century marriage certificates and wills. These were carved in wood or written on paper scrolls stored inside bamboo canes or leather pouches. The interesting aspect of these texts is that they are written in the local Berber dialect, Tashelhiyt, but using Arabic script (the Berber script being a modern invention). So, the word agadir means both fortress and collective storage. If you visit the modern city of Agadir the evidence of its former fortress and Kasbah are long gone, destroyed by the earthquake of 1960, but you may have the opportunity to visit the original kind of agadir in its culturally rich Souss and Anti Atlas hinterland. Morocco is the perfect travel destination regarding of season. Visiting Morocco in winter can make for a rewarding holiday travel experience. The period around Thanksgiving, Christmas and New Year is a popular time to take vacation and a great time of year to get away from it all. Morocco is a cold country with hot sun. Morocco enjoys sunny, mild weather year round and makes a perfect winter vacation destination. Depending on the type of vacation you seek as a Morocco traveler a private tour can be arranged with varied trips that focus on one or two centers as well as tours encompassing as much or as little of this fascinating country as you have time and interest to visit. The coastal resort of Agadir enjoys over 300 days of sunshine per year and is the perfect base for a family holiday or for exploring Morocco’s Southern Atlantic Coast. The daytime temperature is typically around 70°F (although evenings are cool – pack a sweater) and although the sea is cooler than in summer, most hotels and resorts have heated pools and there is none of the sea fog characteristic of the hotter summer months. With a new marina development, Agadir offers fine dining and also plenty of nightclubs and casinos for those looking for a party! Agadir is also a great base or starting point for a more active vacation. Morocco’s Southern Atlantic Coast is world-ranking for surfing and other water sports. December to March is the peak surfing season in Taghazout (15 miles north of Agadir), when the big winter swells from the North Atlantic hit. Equipment and instruction is easily obtained locally and non-surfers can enjoy deserted beaches and mountains for long winter walks as well as yoga lessons and plenty of opportunities to relax gazing out at the ocean, coffee or wine glass in hand. Maybe the ocean isn’t your thing and you prefer the mountains? From Marrakech, the High Atlas Mountains are within easy reach, including the ski resort of Oukaimden. Yes, you read right – skiing in Africa! Facilities are not as developed as in the European or North American resorts, but if you fancy skiing at Africa’s highest resort (5 runs at 11,000 ft) and experiencing snow sports ‘Moroccan style,’ this is your chance! Trekking is also possible in the Atlas Mountains in winter, although ascents of snow-covered Mount Toubkal (North Africa’s highest peak at 13,671 ft) are only recommended for those experienced in winter conditions. From snow-covered peaks to vast sandy deserts…. Morocco’s Sahara Desert is very accessible in winter, once the heat of the summer has died down. At night, you will need the winter clothes you wore to get here, but you will experience stunning clear, starry skies as you sit around the campfire with your Berber hosts. And early risers will catch the unique sight of sunrise over the sand dunes. Morocco has two principal dune ranges: Erg Chebbi and Erg Chegaga. We can arrange trips and overnight stays in both starting from the desert city of Ouarzarzate – in luxury Berber tent or boutique kasbah accommodation. Including camel rides, of course! If all of that seems rather active for your winter vacation, Morocco’s medinas (old cities) offer plenty of distractions – and relaxation opportunities. Indulge in an authentic Moroccan hammam where you will be scrubbed clean and warmed from the inside out. Spa treatments are also available. 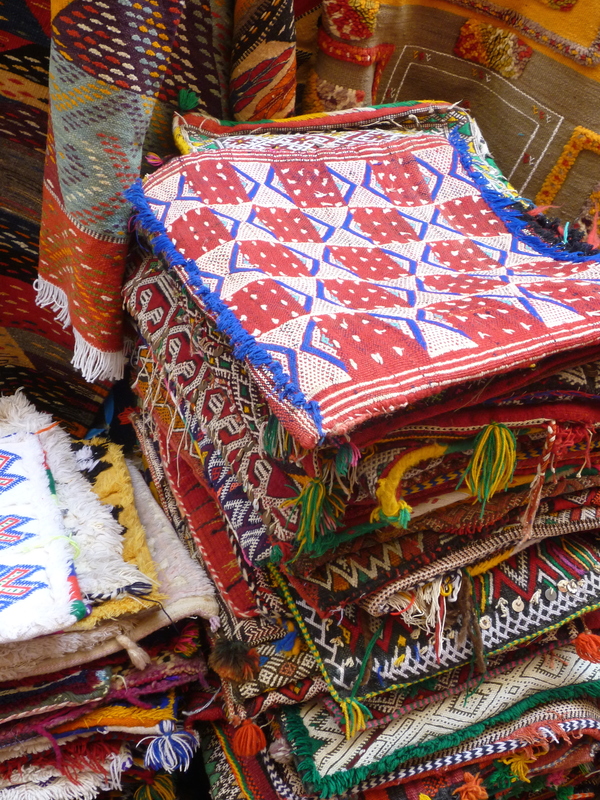 Shop til you drop and haggle for bargains in the souks of Marrakech, Fes and Essaouira. And don’t worry – the vendor will be happy to ship that carpet right to your door back home! 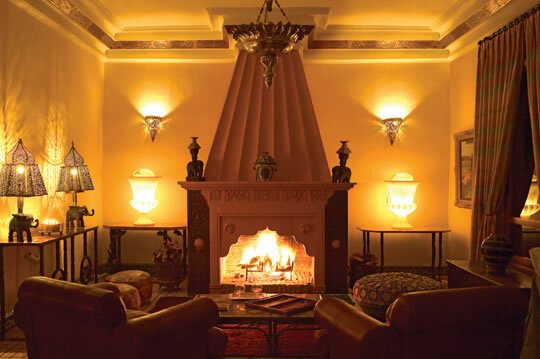 At the end of the day, enjoy a fireside dinner of traditional Moroccan cuisine in your historical riad guest house (restored townhouse, often more than 200 years old) or modern resort hotel. 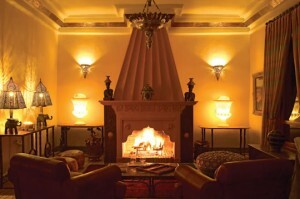 In either you will be surrounded by the famous Moroccan warmth and hospitality. 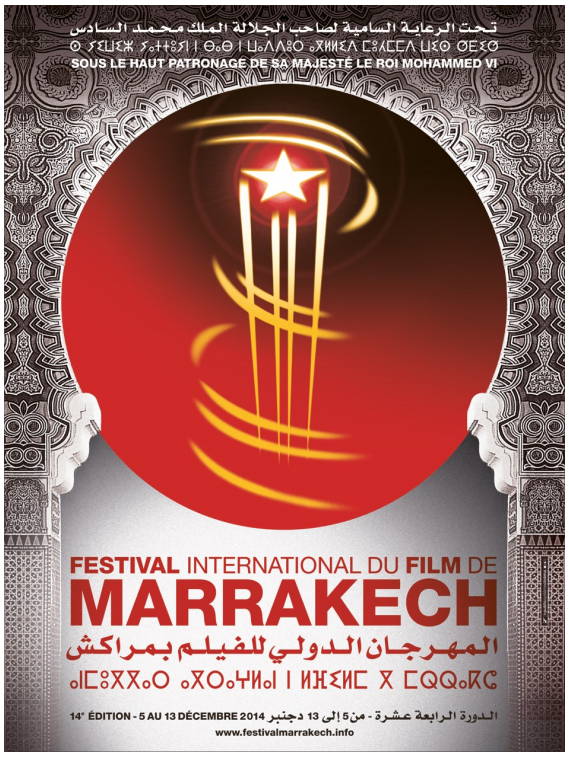 Marrakech International Film Festival – 5-13 December 2014, Marrakech. 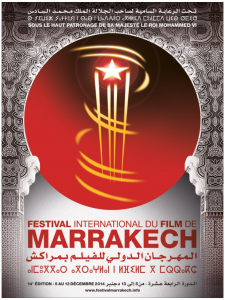 Annual festival features new Moroccan and international films plus retrospective categories and is attended by a star-studded jury. New Year’s Eve – 31 December 2014. Moroccans typically don’t celebrate new year according to the lunar calendar, but there are plenty of events in tourism centres catering for those wishing to ring out the old and bring in the new! Marrakech Marathon – 25 January 2015. Road race in this historic city with Half Marathon option. However you decide to spend your winter vacation in Morocco, a private tour company like Travel Exploration can design your trip of a lifetime! The Festival des Andalousies Atlantiques (Atlantic Andalucía Festival) celebrated in October 2014 its 11th year in Essaouira, on Morocco’s Southern Atlantic coast. It is now a well-established fixture in the annual schedule of this festival city, alongside the Gnaoua World Music Festival (which held its 17th edition in Essaouira – 2014) and the Printemps Musical des Alizés (the Spring chamber music festival initiated in 2000). Some of these prominent Jewish families – and the less wealthy families who followed them and found their home in the Mellah of Essaouira – were descendants of the Megorachim, who had fled the Iberian Peninsula at the end of the 15th century after the fall of Al-Andalus. They came to Mogador from cities such as Tangiers, Tetouan and Fes, where many exiles has settled. This cultural melting pot of Muslims, Jews and Christians, of Arabs, Berbers, Europeans and Africans, fuelled great intellectual and artistic collaboration. 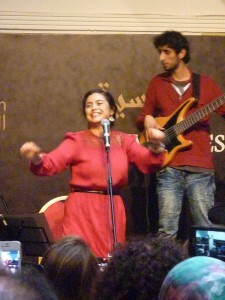 This is typified in the Andalusian style of music, which draws on Jewish, Arabic, Berber and Spanish influences. The poster for the 2014 edition of the Essaouira Atlantic Andalucía Festival features French painter Eugène Delacroix’ work, ‘Jewish Musicians of Mogador’. Delacroix didn’t visit Mogador, but was present during the visit of a French delegation to the palace of Sultan Moulay Abd Er Rahman in Meknes in 1832. Wishing to present the best of his Empire, the Sultan brought an Andalusian style orchestra of Jewish and Muslim musicians from Mogador to play for the visitors. The 2014 festival presented a recreation (without the aid of any written records) of the piece which this group played for the Sultan’s guests almost 200 years ago. The annual Festival celebrates this common yet diverse heritage, as does the Conservatoire (Music School) of Essaouira, which today trains young musicians to preserve these rich traditions. The young artists, such as local talent Hicham Dinar Souiri, follow in the footsteps of great masters – some of whom, such as Abderrahim Souiri, (‘Souiri’ meaning ‘of Essaouira” and by extension its traditions), were on stage during the festival and who themselves have been influenced by the great names of the genre, such as Samy el Maghribi. 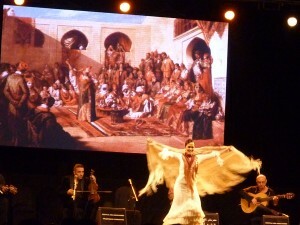 In 2014, Festival-goers were also treated to the great Andalusian Orchestra of Tetouan, directed by Amine Al Akrami; flamenco dance and song from Chekara Flamenca in collaboration with both Rabbi Haim Louk (a master of Moroccan Jewish liturgy) and Abir al Abed (lead vocalist with all-female group, Arige); and the modern ensemble of Neta Elkayam (a gorgeous, talented and energetic female singer of Moroccan origin based in Israel) and Maher Khalil Deeba (Palestinian singer and oud musician from East Jerusalem). 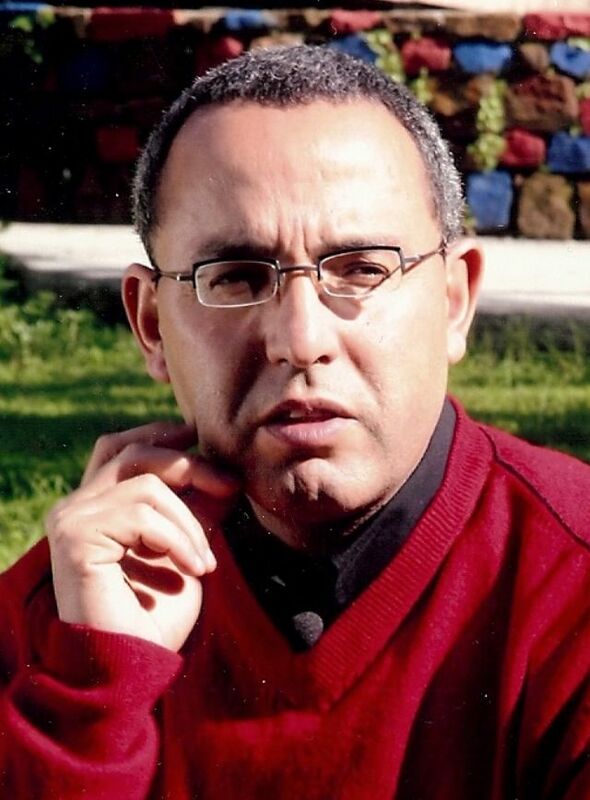 The significance of this Festival is not only in celebrating this past, but its contribution to a future in Morocco where inter-religious and intra-community tolerance and respect continues. As Mr André Azoulay, Patron of the Festival, Adviser to HRH King Mohammed VI and Jewish son of Mogador said on the occasion of the 2014 festival: “This story is not only written in the past.” Morocco lives these principles today – no more so than in Essaouira. You are currently browsing the Travel-Exploration Blog blog archives for November, 2014.